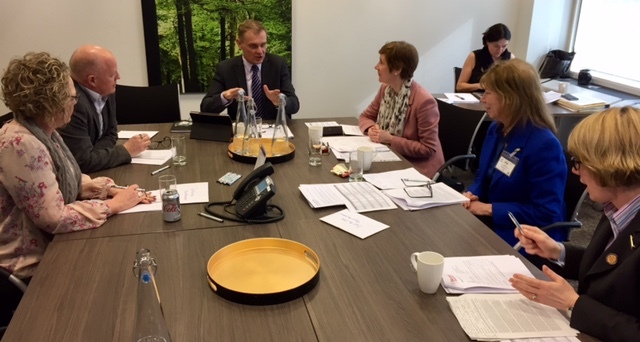 I went to MWB Business Exchange, Cavendish Square, London today to present to a panel of judges for the RCNi Nursing Awards 2017. I am one of 5 nominated people in the mental health practice category. There are 14 categories and five nurses in each category form a very diverse selection of nursing disciplines. There will be a winner in each category and also an over all winner of nurse of the year. 10 minuets seems like no time at all to present on the subject of traditional oral storytelling in a forensic hospital setting. Not enough time to tell the judges a story unfortunately. I am looking forward to the award night on 5th May and finding out about all the other initiatives my nursing colleagues are implementing across the UK. It will be a night celebrating nursing excellence.